Westgate race and sports book chief Jay Kornegay calls Monday's U.S. Supreme Court decision allowing sports betting in states an opportunity for which sports books have been preparing for a long time. Kornegay says tourists don't just come to Las Vegas to wager at the sports book. They also visit restaurants, casino tables, stores, pool venues, theaters and nightclubs. Kornegay predicts crowd will still come for big events like the NCAA basketball March Madness tournament, the NFL Super Bowl, boxing and mixed martial arts fights, and the Kentucky Derby and Breeders' Cup horse races. Casino operator MGM Resorts International does not expect the U.S. Supreme Court's decision on sports betting to have a negative impact on the Las Vegas market. CEO Jim Murren tells The Associated Press the company has polled customers in focus groups around the U.S. and found that widespread sports betting opportunities will not keep fans from traveling to the nation's gambling mecca. Murren says people will want to visit the market leader, which will take them to Las Vegas' sports books. 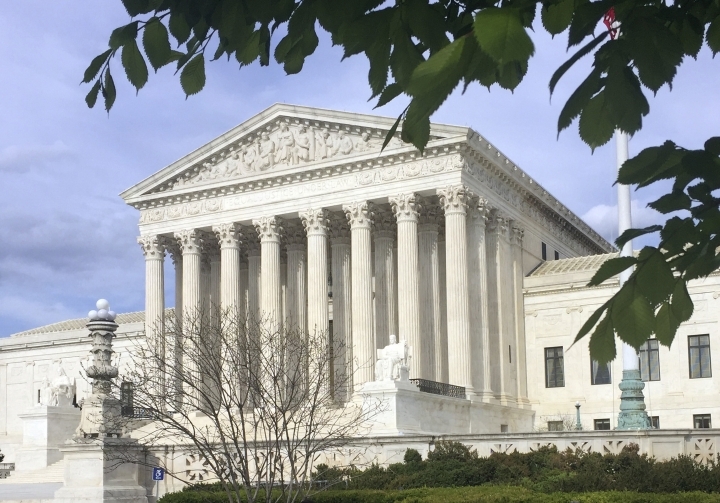 An executive with a company that owns casinos in 18 states and Ontario, Canada, says the U.S. Supreme Court ruling on sports gambling could begin a "land rush" for states to enact sports wagering laws. Longtime sportscaster Brent Musburger says prohibition didn't work with liquor and prohibition didn't work for sports betting. He's calling Monday's U.S. Supreme Court ruling on sports betting in states a healthy thing for sports and the public. He says the ruling takes sports betting "out of the underground and makes it mainstream." New Jersey lawmakers have introduced new legislation that would regulate and tax sports betting, hours after the U.S. Supreme Court cleared the way for states to legalize it. The bill would presumably supplant one introduced last week that would have paid an "integrity fee" to the sports leagues, in effect giving them a cut of the proceeds from sports betting. Marlene Warner, the group's board president, says any governmental body and sports league that receives money from sports betting revenue should be required to dedicate funds to prevent and treat gambling problems. Earlier Monday, the Supreme Court struck down a federal law that bars gambling on football, basketball, baseball and other sports in most states, giving states the go-ahead to legalize betting on sports. The chairman of the Senate Finance Committee says he'll propose legislation that would establish standards for sports betting that will uphold the integrity of the game, protect consumers and safeguard against underage gambling. Republican Sen. Orrin Hatch of Utah says Congress cannot allow uneven enforcement and a patchwork of state laws regarding sports betting result in a "race to the regulatory bottom." Hatch is reacting after the Supreme Court struck down a law that he helped write in 1992 that forbade state-authorized sports gambling, with some exceptions. It made Nevada the only state where a person could wager on the results of a single game. Hatch says the 1992 law was created to protect the integrity of athletics from corruption. He says the upcoming legislation will have that focus, too. The NFL plans to ask Congress "to enact a core regulatory framework for legalized sports betting" following the Supreme Court's ruling that would allow sports wagers in most states. In its statement, the NFL noted that "Congress has long recognized the potential harms posed by sports betting to the integrity of sporting contests and the public confidence in these events." The NFL also said it will work closely with teams to ensure that any state proposals "protect our fans and the integrity of our game." The PGA Tour has restated its support of sports gambling following a Supreme Court ruling that overturned a federal law barring gambling in most states. The tour's position is similar to the NBA and Major League Baseball on gambling issues and it says it will continue to work with state legislators and regulators. The tour last year established a program that requires players on all six circuits the PGA Tour manages to take part in an online tutorial that, among other things, illustrates some of the far-reaching effects of gambling. "We believe that regulation is the most effective way of ensuring integrity in competition, protecting consumers, engaging fans and generating revenue for government, operators and leagues," the tour said in a statement. NBA Commissioner Adam Silver says the league remains a favorite "of a federal framework that would provide a uniform approach to sports gambling in states that choose to permit it." Silver said the league would "remain active" in ongoing discussions with state legislatures in the wake of the Supreme Court's ruling. Silver added that "regardless of the particulars of any future sports betting law, the integrity of our game remains our highest priority." Major League Baseball has issued a statement saying the Supreme Court ruling will have "profound effects" on the league. It said "our most important priority is protecting the integrity of our games." MLB said it would continue supporting legislation "that creates air-tight coordination and partnerships between the state, the casino operators and the governing bodies in sports toward that goal."